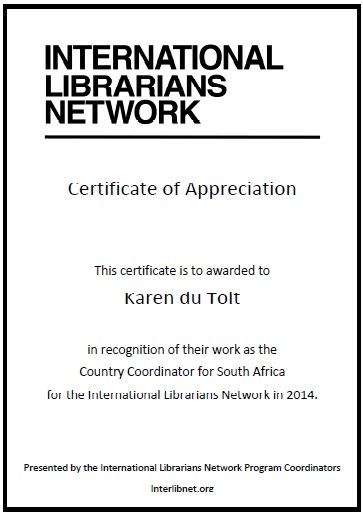 Guest post over at International Librarians Network. 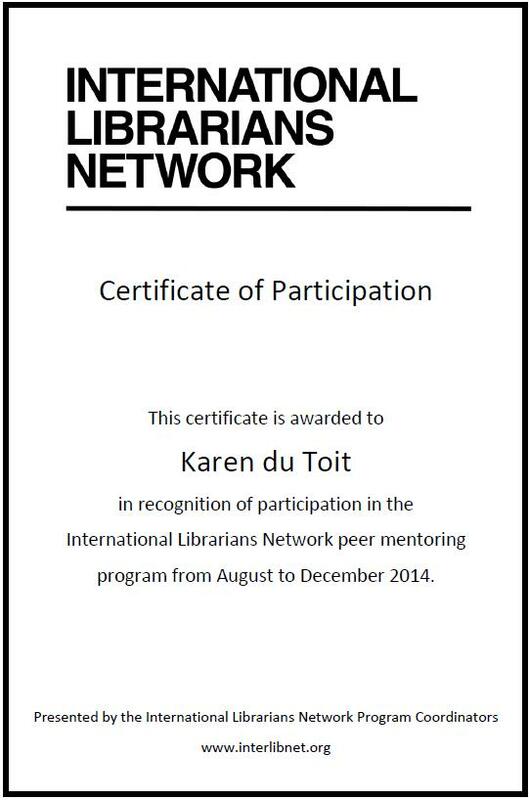 I have signed up for a next round of peer mentorship, as well as being the ILN South African coordinator this year. I will be doing it again this year! I will sign up for the next round as well as continue as country coordinator! I really enjoy the international connection, as well as meeting like-minded peers from around the world. The call for more country coordinators went out on 3 January already!